Food catering has been one of the growing industries nowadays due to the demands of customers from different market niches. If you would like to put up your own catering business, one of the first things that you should plan is the brand that you would like to incorporate in your company. A logo design is a tool that can help you further strengthen the branding strategy that you have in mind since it will be the face of your business. When creating a professional logo for your catering business, you have to remember that it will leave an impression to your target market. It can spark public awareness especially when your brand logo is already used in advertising activities and marketing processes. Since a catering logo is an essential part of your business, you need to make sure that you will design it base on the core of your operations and the perception that you would like to showcase and reflect throughout the existence of your food catering company. A catering logo plays a vital role in the promotion of the business. It is a great way to advertise the company so that people can be aware of what you can provide to them. Listed below are some of the things that you should always keep in mind when making your own catering logo. Your catering logo is a tool that can give you both direct and indirect customer traffic. May it be a minimal logo or a vibrant and striking logo, what is important is for you to have a symbol that can properly represent your business. However, you can only achieve this if you will use a design and a format that will appeal to your target consumers. Hence, your catering logo should not only be based on the objectives and mission of your catering business but also on the needs and wants of your prospective customers. Your catering logo can help you distinguish not only your brand but also the products and/or services that you offer. Since there are already a lot of suppliers in the field of food catering, you need to make sure that you can leave a mark to your current and possible clients. Through your catering logo, the marketplace can have an identifier that can set you apart from other catering businesses. Your catering logo is the face of your business. Usually, when we think of someone; what we remember is either his/her face or name. The same goes in the professional and business industries. People remember and acknowledge you through your business name and the logo that you attach to it. As a visual material, your catering logo is an important component of your daily undertakings as a business. Through it, you can be known by the market that you would like to reach and penetrate. Your catering logo should be unique. The originality of your logo can reflect the originality of your business. If you have a catering logo that is truly your own and is not just a copy or an improved replica of your competitors’, then you can easily have the distinct branding that you need so you can stand out from other businesses with the same nature of operations as yours. As a business, it will be easier for you to achieve the corporate identity that you would like to get through the usage of a well-created visual in the form of your logo design. Your catering business can give a lasting impact on the market that you are targeting if the consumers can see your business values through the logo that you will use. You can easily communicate with your target audience if you have a support from an effective catering logo that can consistently showcase what your business is all about. There can be control, in favor of your business, if you will use a catering logo to define the way that you are perceived by your target clients. As an identifiable visual material, your logo can showcase the definition of your catering business. Using a great catering logo can help you promote brand recognition. As a marketing, branding and advertising tool, with elements that are put together in one image, your logo can help you make your customers be aware of the offers that your business have for them. First, review the brand identity that you would like to portray. It is essential for you to be aware of who you are as a business so you can specifically incorporate certain characteristics in the branding materials that you will use. The core of your business should be reflected in the catering logo that you will use so you can ensure that your logo can carry out the message about your company. Use templates and samples as your references during the initial selection of the catering logo design and format that you would like to use. It will be very helpful if you will refer to existing modern logo samples and templates so you can see which can work for your business and those that will not. From there, you can create a list of the designs that you like so you can have inspirations when making your own catering logo. Draft the catering logo that you plan to have or ask professional help from graphic artists to do the help for you. If you think that the template that you have selected is only good as an inspiration, there are actually a lot of ways on how you can change its features so you can truly call it your own. From a readily-made or blank logo design, continue the process of your logo making the selection of the colors that you would like to use and the design materials that you want to add. Seek advice from the stakeholders of the business. Your catering logo is not just about you or the management of the business. It should be able to speak to your stakeholders like your customers, workforce, and investors. Always remember that your catering logo should have the power to relay the message of what your business is all about. Finalize the logo to use. Your catering logo should be polished before you release it in any way possible. Make sure that the logo that you will create can be applied beautifully to different marketing materials, items, and merchandises so you can easily incorporate it to your tools for advertising and promotion. May it be a three-dimensional modern logo, a retro logo or an abstract logo design; it is a fact that not all catering logos are created equal. There are some of them that can help the business a lot while there are also some that can negate the vision of the catering company. This is the reason why you have to be fully aware of the characteristics of a great catering logo so you can avoid making one that can negatively affect your business and its operations. It should be related to food or there should be any material, item, or design that can help customers identify your business as catering provider. Since you are in the food industry, your catering logo should provide an impression that you belong to the field where your business is currently at. This can help your catering logo to not be misleading. It should be memorable and relevant. Your catering logo should speak out without words. It should represent the business the best way possible. If you have a vibrant and attention-grabbing logo, then you can easily get the curiosity of customers about your business. In terms of relevance, your catering logo should exude the image of the business and the ways on how your business can be of help to your consumers. It should be well put together, visually pleasing and comprehensive. There are different items that businesses combine so that they can come up with the logo to use. When doing this, you have to make sure that there is cohesion with the materials that you will use so that your catering logo will look good as a single image. Through a catering logo, you can effectively separate your business with the others that are existing in the catering field and food industry. With a sense of individualism, your business is sure to be known by your target market. Together with a promising service and product quality, taking time in planning and developing the catering logo to use can provide you success in promoting your business to clients who can give you actual sales. Make your catering business aspirations come to life in a step-by-step process. 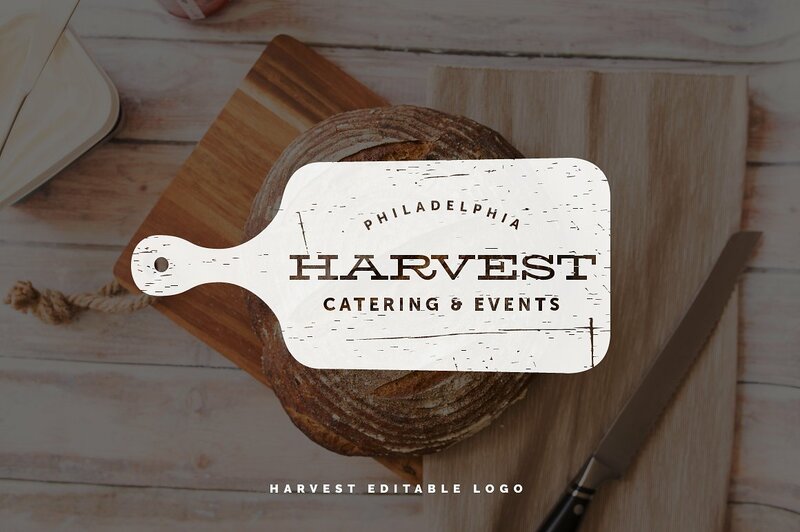 Start by creating a highly-usable and outstanding catering logo with the help of the guidelines, tips, and other information that we have discussed. 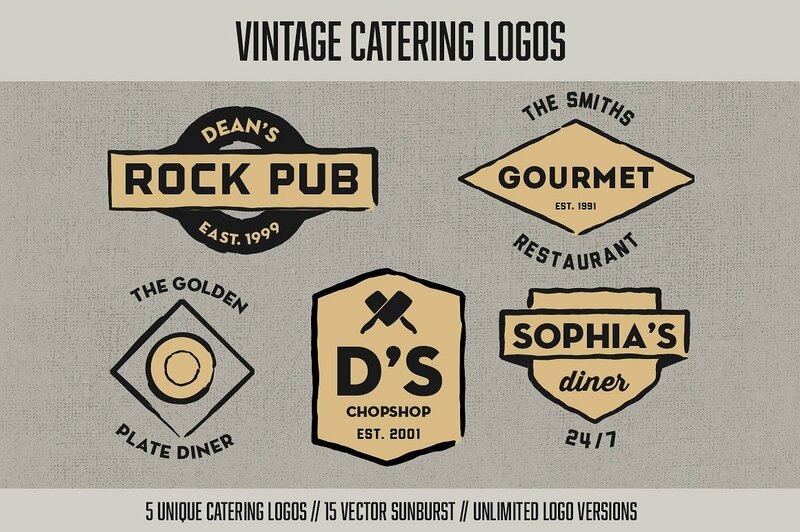 With these, it is for sure that creating a unique and beautiful catering logo is already within your reach.